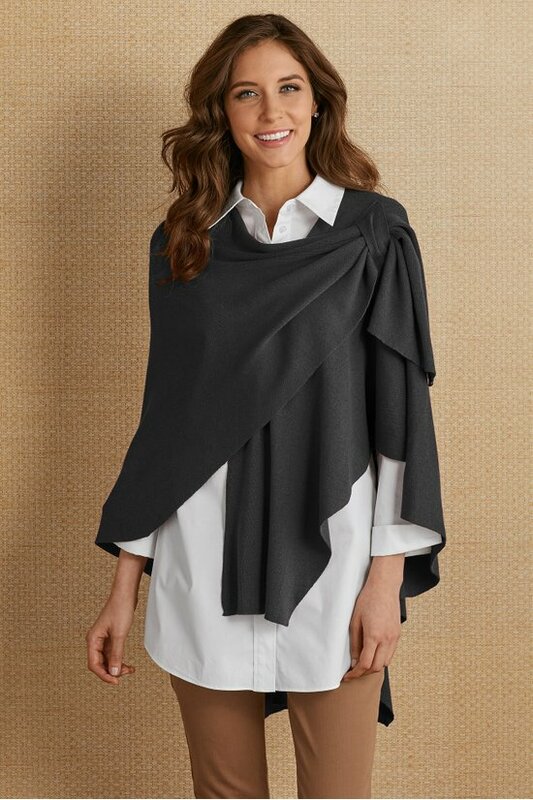 Clever design creates a decadent drape in this soft jersey-knit wrap - just pull one end through the opposite shoulder tab and away you go. The easy layer works as a shawl or scarf, too, in three transitional tones. 31" long.